On CES 2016, not only devices such as smartphones or tablets are introduced, but there are also cool technology tools that can help humans. One of them is a smart tool called the Smoking-Stopper for smokers. This tool will be connected to the mobile application to identify a time can control the behavior of its cigarette consumption in real time. Smoking-Stopper can even stop smoking is not healthy. Many people who are addicted to smoking and want to quit, but very difficult. Well, this tool can offer a medical solution for those who really want to quit smoking. RegulSmoke said that the Smoke-Stopper will focus to see your smoking behavior. 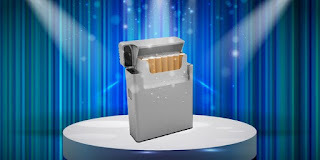 This tool will be connected with an application that has been designed by engineers and therapists smokers to stop nicotine addiction be physical, habits, psychological and emotional man. The application will identify the different profiles of smokers in order to set appropriate goals for reducing consumption of daily smoking and provide advice based on four key factors: physical, emotional, behavioral, and psychological. Users are also able to talk to the therapist and the person skilled through these applications to discuss the progress that has been experienced that the goal is reached. 0 Response to "This application is able to stop smoking"